Metahuman settlement is concentrated in a dense band of stars near the galactic core. Nearly a thousand years ago, two rival factions consolidated power, and have waged intermittent war with one another throughout the centuries in a bid to finally dominate Metahuman space. The Dirac Legature holds the majority of the coreward systems and is governed by an ordered, bureaucratic oligarchy, while the Principate of Ri'ann controls a series of outward-spiraling systems controlled by a military-religious order. Quite a few metahumans, however, have chosen to eschew civilized society in pursuit of quick credits and the rush of adventure. Few find either, but many of the more successful find there way to a string of outposts near Galverun's End, where an unstable wormhole provides a measure of protection from nosey outsiders. In a place such as this, a quick wit and conspicuous good luck can make a man famous, and there are none more famous than Almaric. Almaric has many skills, but making an honest living isn't one of them. Fortunately, honest living is a tedious existence that Almaric takes pains to avoid. 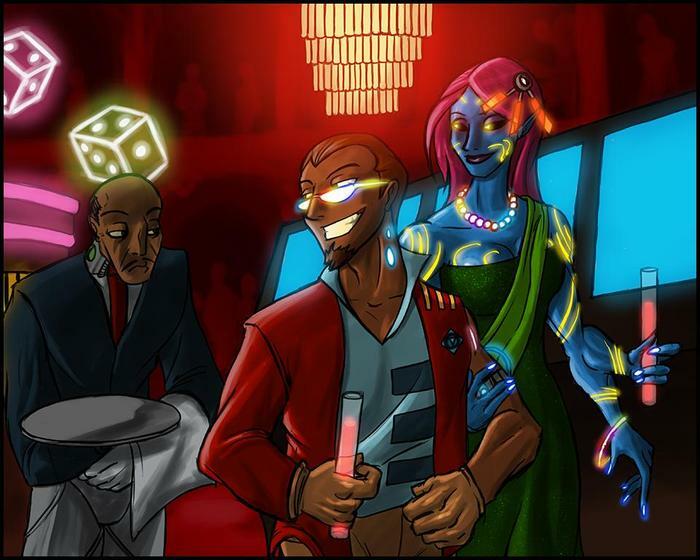 Being a gambler and a card shark, not to mention an occasional gun runner and con artist, has made Almaric a wealthy man who thinks little of buying what he wants, when he wants it. 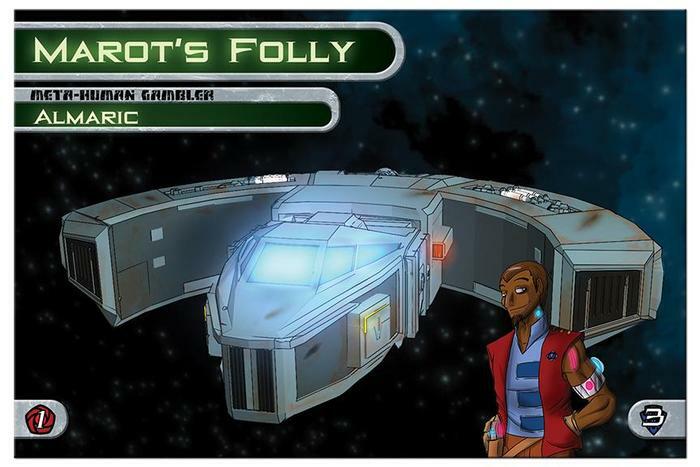 His fiance Marot put up with his free-spending ways for years, but Almaric's purchase of a partially-constructed custom racing frigate was the last straw and Marot put his foot down: either the ship went, or he did. Almaric chose the ship; long term relationships sound too much like honest living for him anyhow. After several modifications both highly expensive and highly illegal, Marot's Folly handles like a dream and can pass even the most thorough customs inspection with a hold full of hallucinogenic Xenidia pods. It is still a bit lacking in the combat department, but Almaric has plans... and the credit account to back them up!